Take your career to the next level! Become a certified fitness instructor. 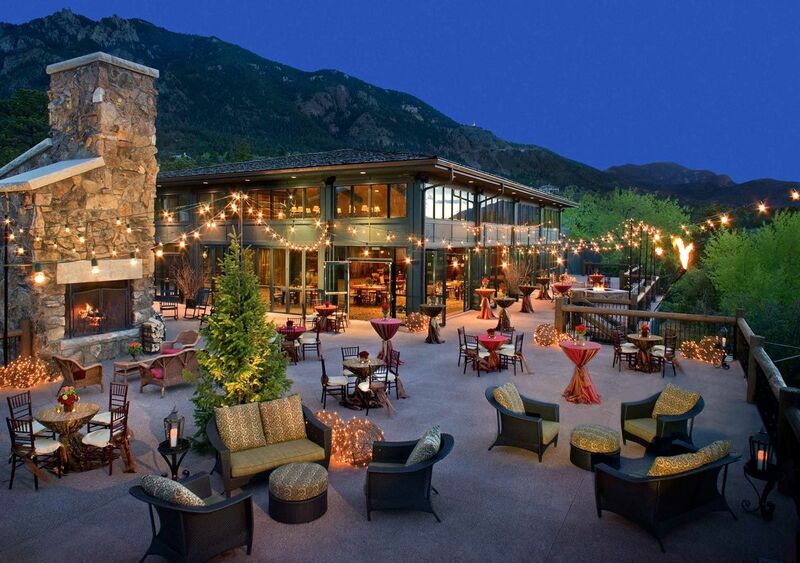 Treat yourself to luxury in the Rockies and enjoy The Broadmoor’s Five Star, world renowned Spa, fabulous restaurants including The Golden Bee, an authentic English Pub. There are complimentary shuttles to Seven Falls, and the Cheyenne Mountain Zoo. The magnificent Garden of the Gods & Pikes Peak are minutes away! Receive the Fitness Certification you need to take your career to the top at a AAAI/ISMA “One World” International Certification and Education Conference. Conferences provide you with the AAAI/ISMA, ACE, AFAA, AEA, & IFTA credits needed for renewal. AAAI/ISMA is accredited by the Fitness Standards Council and an affiliate of the NBFE. AAAI/ISMA has over 180,000 certified members globally. Be part of the world’s largest fitness family. AAAI/ISMA certified members are eligible for insurance with CPH & Associates. AAAI/ISMA certifications are approved by Gold’s Gyms, Bally’s, World’s Gyms. LA Fitness, Idea’s Personal Fitness Training Recognition System and other major chains and accredited by the FSC. AAAI/ISMA’S Global Fitness Faculty is composed of fifty of the world’s top educators. We have selected some of our best so that you’ll receive the practical and theoretical knowledge that you need to keep your career on the leading edge. AAAI/ISMA provides certification and the corresponding education so that you have the practical knowledge to back up your credentials! AAAI/ ISMA exams are both theoretical and practical. AAAI/ISMA has a faculty of Exercise Physiologists, all with at least a Master’s degree, Ph.D., or M.D. AAAI/ISMA Certification Exams are both theoretical and practical. The theoretical exams are 100 questions of true/false, fill in the blank & multiple choice. The practical exams will be conducted during this time. Primary Aerobic, Master Step Instructor, Breast Cancer Wellness Coach, Personal Fitness Trainer, Phase II Personal Fitness Trainer, Strength Conditioning & Weight Training Consultant, Sports Nutrition Consultant, Phase II Aqua Instructor, Yoga Phase I, Yoga Phase III, Phase II Pilates Instructor, Phase III Pilates Instructor, Kickboxing Instructor, T’ai Chi Phase II, Life Wellness Coach/ Holistic Health, Kids & Teen Fitness. *IN ADDITION YOU ALWAYS GET YOUR FIRST SESSION CHOICE AT AAAI/ISMA CONFERENCES! Compare AAAI/ISMA’s Cost and Credentials and see for yourself why we’re Certifiably Superior! CEC Credits: At the conference you will receive the 8 CEC credits you need toward AAAI/ISMA renewal. You can earn up to 15 AFAA credits, you can earn up to 1.3 ACE credits & 15 IFTA credits. AEA credits are also available. Yoga Alliance CEC’s are available. ACSM, NSCS, NASM and other organizations can be petitioned for CEC’s. AAAI/ISMA has been certifying and educating fitness instructors for over 37 years! We currently have over 180,000 members worldwide! AAAI/ISMA provides live certification and the corresponding live education so that you have the practical knowledge to back up your credentials! AAAI/ ISMA exams are both theoretical and practical. AAAI/ISMA has a faculty of Exercise Physiologists, all with at least a Master’s degree, Ph.D., or M.D.